I took this photo of Bill Cunningham at a party in his honor at Bergdorf Goodman in 2008. This we file under "What Happened to the Summer?" The documentary Bill Cunningham New York came out in theaters earlier this year and our friends were raving about it and TD and I meant to see it over the summer, but we just didn't make it there. Luckily it is now on pay-per-view so we recently caught it on tv. Be sure to see it if you haven't already. 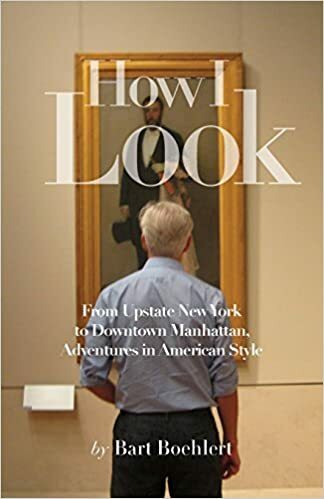 Bill Cunningham, as I said here on the blog when he attended a party in his honor, is the extremely influential, much beloved New York Times street fashion photographer who shoots the "On the Street" page and the "Nightlife" page of the Sunday Styles section. Everyone in New York wants to be photographed by Cunningham, and he shapes fashion by the trends he covers and those that he doesn't. "We all get dressed for Bill," Anna Wintour says in this movie. Yours truly has been pictured on his page once and TD has made numerous appearances. The photographer is famously adverse to interviews or publicity and it took documentarian Richard Press eight years to get Cunningham to agree to be the subject of this movie. Though Cunningham has since moved to a new place, he is shown in his small apartment where lived forever in Carnegie Hall which is packed with filing cabinets and a small bed. "Who the hell wants a kitchen or a bathroom!" he exclaims. At age 83, he still travels around town on a bicycle, and the film shows many examples of him traversing testy city traffic. Cunningham always wears a simple blue jacket (see above) which he says costs $20 and is like what street sweepers wear. His is a very ascetic and humble lifestyle. The photographer is extremely private so not much is revealed about his personal life though he says he goes to church every week and has had no romantic relationships. Wikipedia says that Cunningham dropped out of Harvard, but that is not mentioned in this movie. What does come through clearly is his love of fashion. "The best fashion show is always on the street," he says. "You have to stay on the street and let it tell you what the news is." The movie observes that he uses a camera like a pen to take notes. Peddling uptown and downtown to photograph glamorous girls in gorgeous dresses, Cunningham truly is an original, and New York is richer for his presence. He is the monk of fashion, an artist on a bicycle. 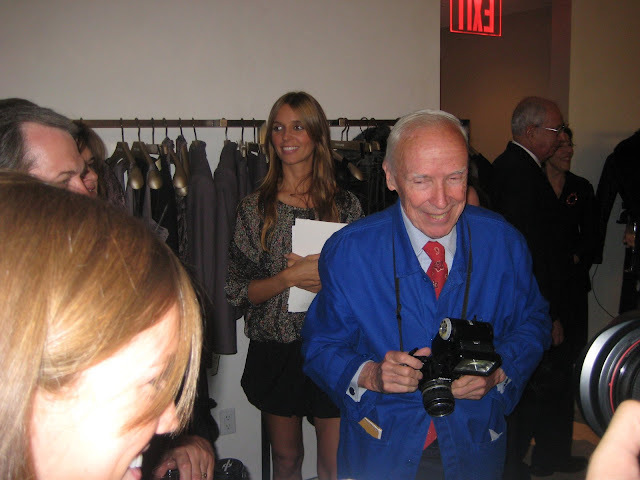 "He who seeks beauty will find it," says Bill Cunningham. I adored this film -- a fitting tribute to a New York legend. Even if I am more like an illiterate when it comes to fashion compared to you Bart, I get so curious about this film. I really hope that I can do it some day. I am a big fan of the man. I am a big fan of his works. Bill is an inspiration.